Carmel Arts - MLS#21631945. Sanders/Sanders. Note that although this area has an Indy zip code, it is still in the Carmel/Clay school district, and the property taxes are lower than Indy's. MLS#21631471. The Greathouse Real Estate Co.
Wilson Village - Original hardwood floors in all bedrooms were covered with carpet. Street light next to property. MLS#21632231. Mentor Listing Realty Inc. Situated on a great lot w/wood deck overlooking walking trail and community pond. 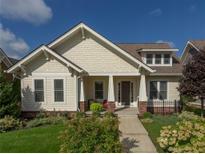 Move-in ready & Carmel Schools. MLS#21630426. F.C. Tucker Company. 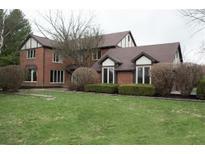 Claridge Farm - Great Lower Level with open space and wet bar. Great Deck, Pergola and Yard. MLS#21628438. RE/MAX Ability Plus. Plum Creek - Very well maintained - absolute move in condition! MLS#21629355. Carpenter, REALTORS®. Guilford Park - New roof.House is priced right and will go soon. Come and see it! MLS#21629549. Legacy Homes International.